Carbine Car Care is a Family Owned business established in 2011. Craig Roberts is the owner and the man on the tools. In an industry where experience counts – Craig has been in the trade for over 25 years. Many a change has come about since Craig was introduced to motor vehicles at a very young age. His father was a motor mechanic who established his own workshop in Frankston where Craig began as an apprentice cutting his teeth on old Falcons, Commodores and a great many other makes and models. Since then technology has moved forward in leaps and bounds and staying up to date is imperative. Being members of the VACC gives us the constant backing of an organisation intent on keeping its members as informed as possible. We have access to large amounts of technical information to enable us to quickly and accurately diagnose issues on late model motor vehicles. 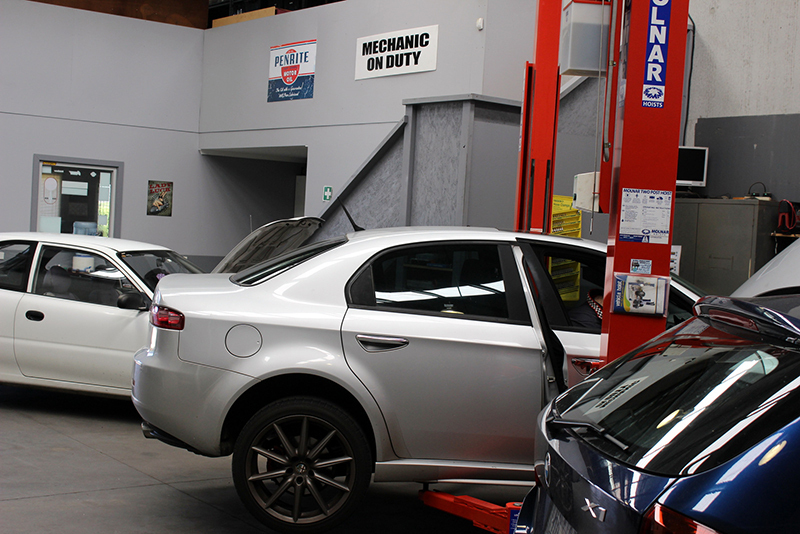 Having been involved in the Motor Vehicle Repair Industry for so long, you can be confident that whatever type of car you own, be it an early Volkswagen Kombi, a family sedan or a late model Common Rail Diesel 4WD; Craig has the technical knowledge to correctly diagnose and repair your vehicle. Travel preparation is also catered for. If you are heading out for an outback 4WD Adventure or a Caravanning Holiday – we can check your vehicle over and make sure it is safe and well maintained. Being 4WD campers and caravaners ourselves, we understand the importance of having a reliable vehicle when you are a long way from home. Just purchased a new car? Be assured that we use only top quality Penrite Oils. All our filters meet the specifications required for New Car Warranty Servicing so there is no reason to return to the dealer for your servicing should you not wish to. Working on motor vehicles is not just a job to Craig – he is passionate about cars. He spends his spare time restoring older vehicles to a very high standard. He takes great pride in his work both on his customer’s vehicles and on his own. We pride ourselves on being a small personalised workshop. We understand the importance of honesty and integrity and building a trusting relationship with our customers. Craig loves a chat and is always happy to discuss the details of any repairs that may be required on your vehicle. Drop us a line, give us or call come and see us in person if we can be of service to you.